In many aspects of healthcare, physicians and other providers are often in the passenger seat rather than the drivers seat. When it comes to medical apps, however, we have seen a large number of physicians who recognized a need and came up with an app to solve it. A recent contest hosted by the American Medical Association (AMA) seeks to promote that kind of initiative. Dubbed the AMA App Challenge, the contest challenges physicians, residents and medical students alike to come up with an iOS app that will benefit the medical community. Thus far, the contest has selected a total of 10 ideas, 5 from the physician category and 5 from the resident/medical student category. Out of the many entries, only one from each category will be allowed to present their idea at an awards ceremony in New Orleans. The winning ideas will also be refined and developed into a workable app by AMA developers. 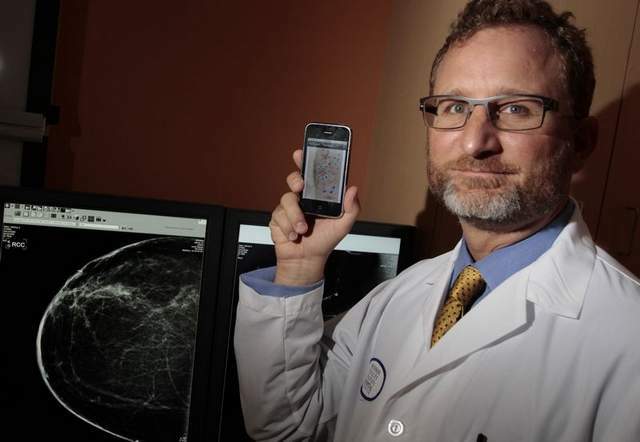 One of the finalists, Dr. Pond Kelemen, has an idea of using an app to assess patient’s breast cancer risks. Dr. Kelemen’s idea would combine numerous calculations to assess several different risks pertaining to breast cancer, as well as integrating clinical recommendations into the app’s output. What seems to make this app different than other clinical calculators is that it takes a single set of data points and applies them to several formulas, generating a range of risk assessments as well as care recommendations – in short, making the leap from a simple calculator to decision support. One interesting feature of the apps that have been submitted is that they are so clearly tied to specific day-to-day challenges. For example, Duty Hours is intended to improve compliance with ACGME residency compliance. Mobile Surgery Card lets surgeons create and maintain lists of preferred equipment for different surgeries. Overall, the apps that have gained a top-10 slot are generally targeted at needs that the submitters likely face on a day-to-day basis. Two exceptions are the Disaster Preparedness app and the Physician Advocacy app. The former seeks to provide education about disaster management but also seems to hint at an application to real-time disaster management with alerts about disasters, an idea that could certainly be expanded significantly. The Physician Advocacy app seems to take more of a social media approach to encouraging providers to engage in policy making and, with the growth seen in other physician social media venues, has interesting potential. We are certainly not endorsing on app over another – that’s for you all to decide. Rather, given that this is a list of app ideas from physicians (mostly), it gives us an interesting window into how our colleagues are thinking about mobile health and medical apps. Voting is still open to registered members of the AMA through September 30th and can be found here. We appreciate the move towards physician-authored apps–in part because that’s how we see the world. All of our apps were developed in partnership with the best doctors we could find in each space. So, for example, KneeDecide & ShoulderDecide (positively reviewed by Dr Matthew DiPaola & Darwin Wan of this site) were both developed using the expertise, experience and knowledge of the best knee & shoulder surgeons we could find. This is the other half of the equation that we think many medical app developers miss–the medical expertise and all that brings with it (science, best-practice, etc.). We take that very specialized knowledge and try and present it in a way that will appeal to patient-users from a UI/UX standpoint–that’s the synthesis. Which brings me to my final point, my appreciation for a site that specializes the way this one does. We’ve had reviews by other app review sites and though they are generally positive (and we appreciate them), they are not authored by physicians or other healthcare professionals. They are, essentially, an expansion of what we could get by reading the 2-3 line reviews in the App Store itself. This site–iMedicalApps–is providing a much needed service for app developers and anyone who may use those apps. We, as developers, get important feedback (which in our case, has led to important improvements to our apps) and the doctors and patients and others who may use the apps get a review written by someone with a highly specialized skill set. This arrangement, as Michael Scott put it on The Office, is Win, Win, Win. Thanks for the positive feedback. One of our goals is to help our colleagues navigate these emerging resources and figure out what they can apply to their day-to-day practice, and we’re thrilled when our feedback helps improve these resources. At the end of the day, its about improving the care we deliver and we firmly believe that many of the apps out there can do that.